A striking shirt from French fashion house Ami. 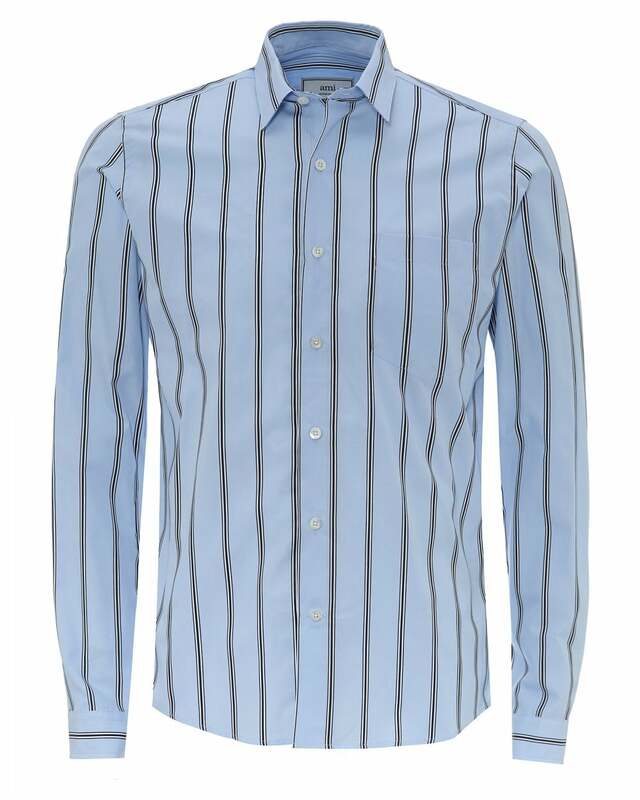 This piece features a curved hem and contrast dark vertical stripes throughout, a perfect colour for summer that will brighten up any outfit. Wear with beige chinos and a pair of trainers to really let the shirt pop.